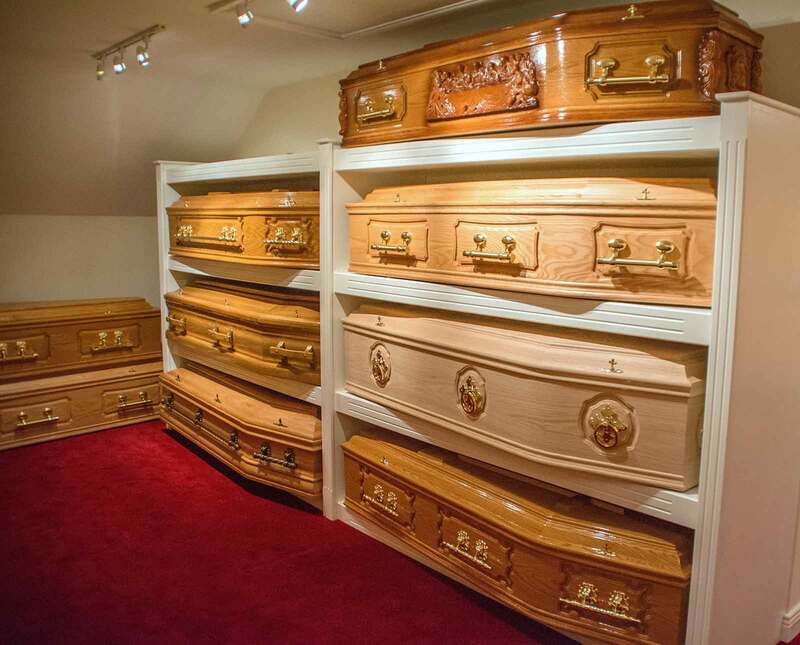 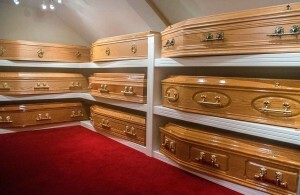 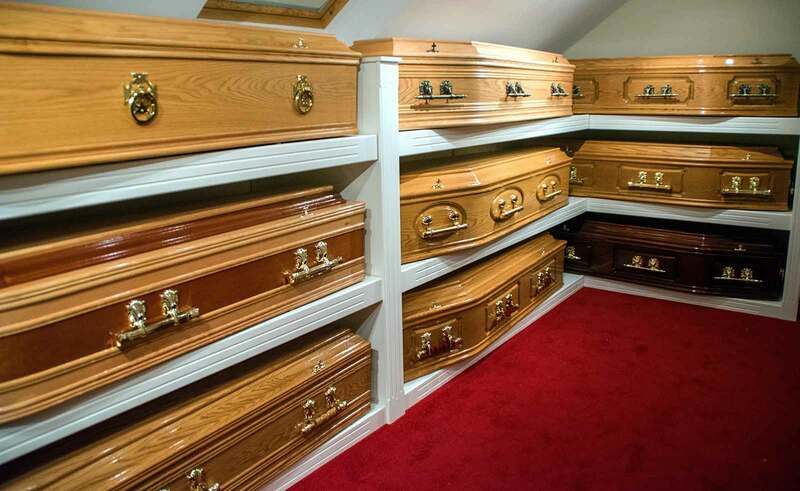 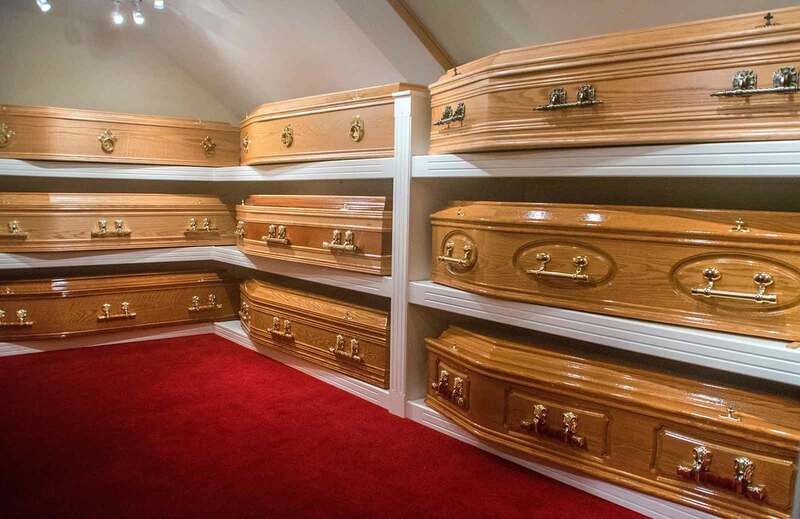 Our coffin/casket showroom boasts a wide range of coffins and caskets to suit every taste, style and budget. 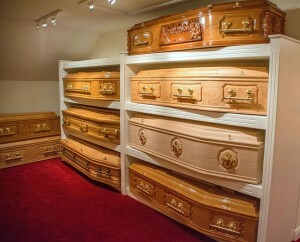 All are fully furnished and priced. Alternatively, we have a brochure available, where all are illustrated in full colour. 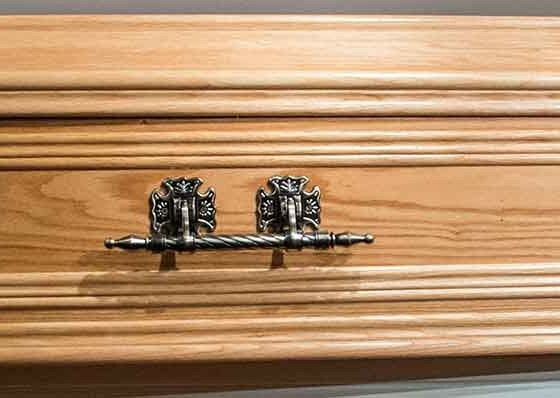 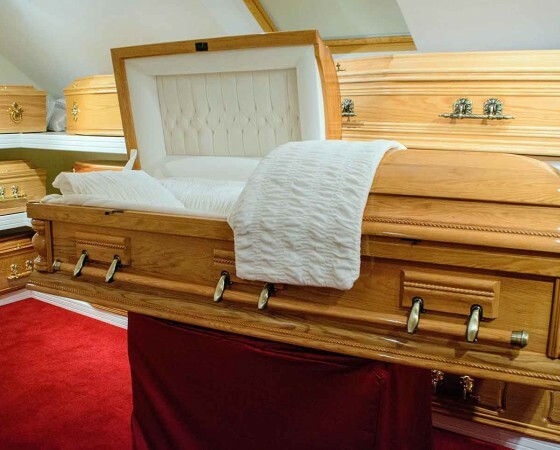 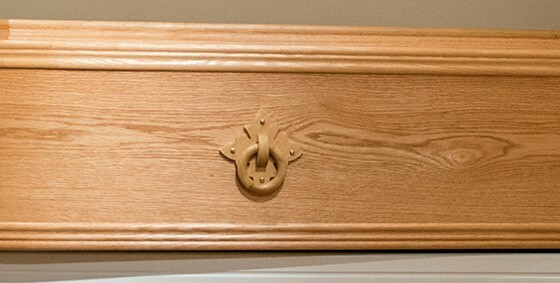 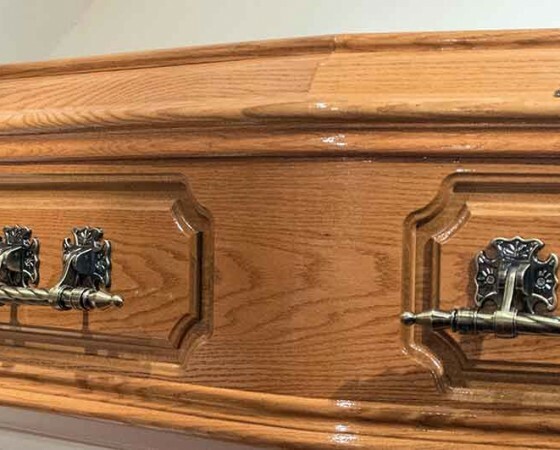 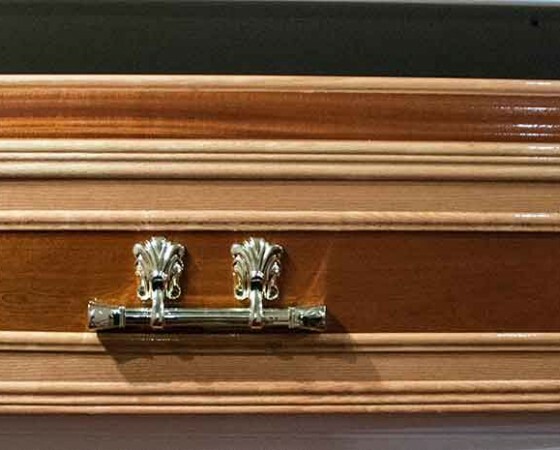 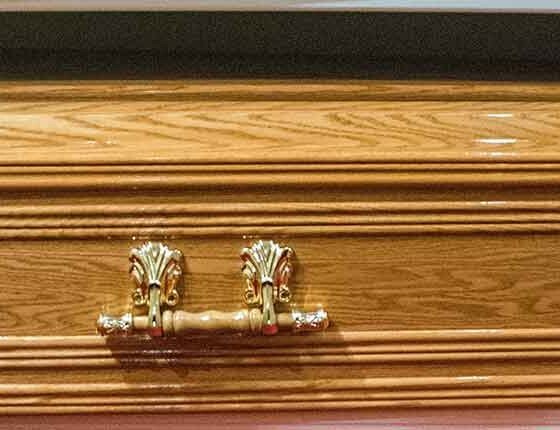 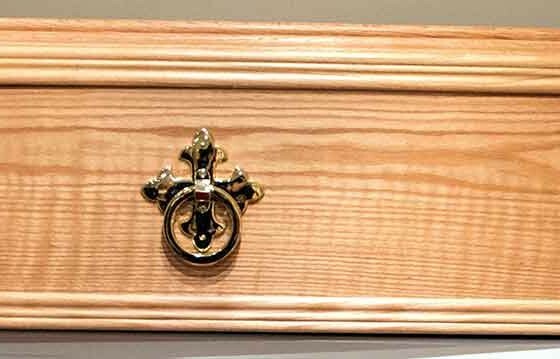 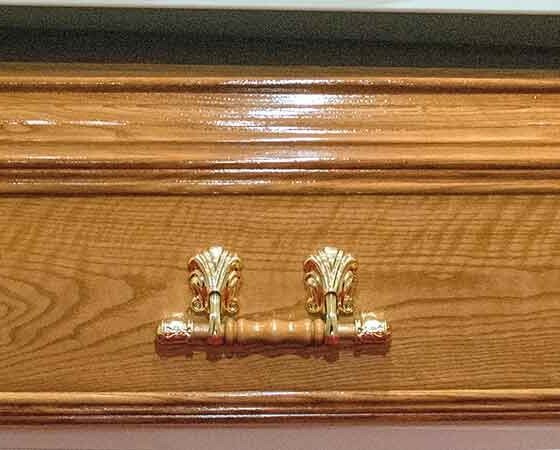 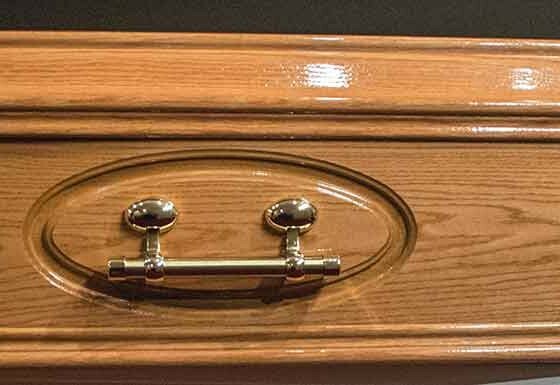 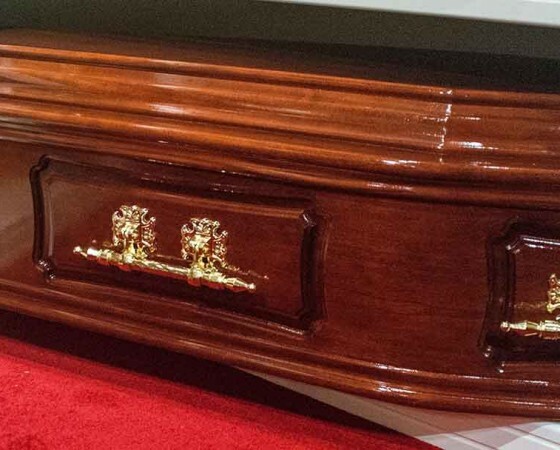 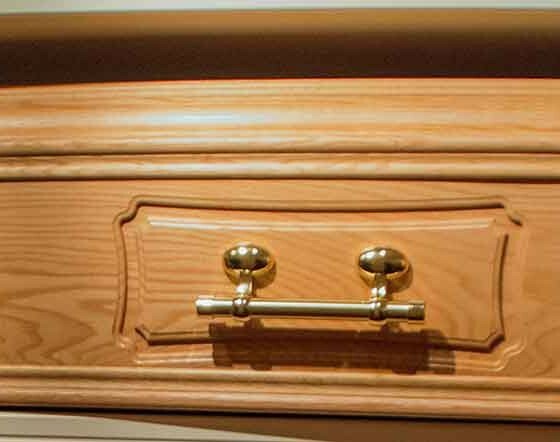 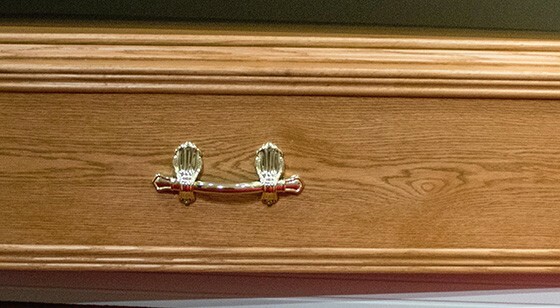 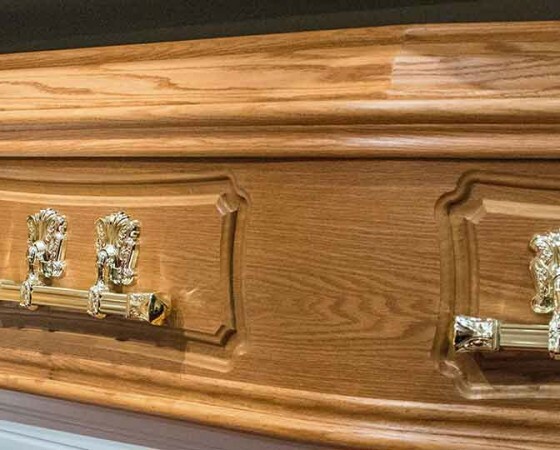 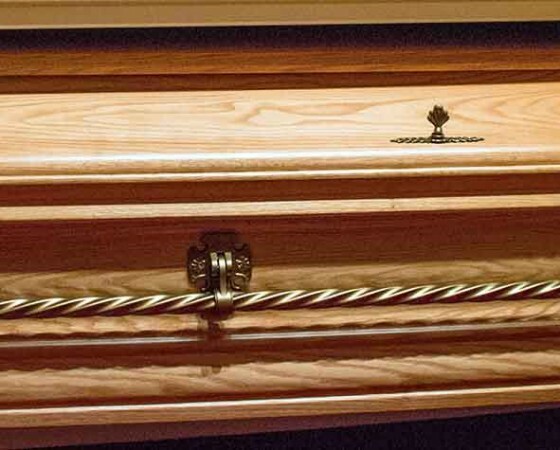 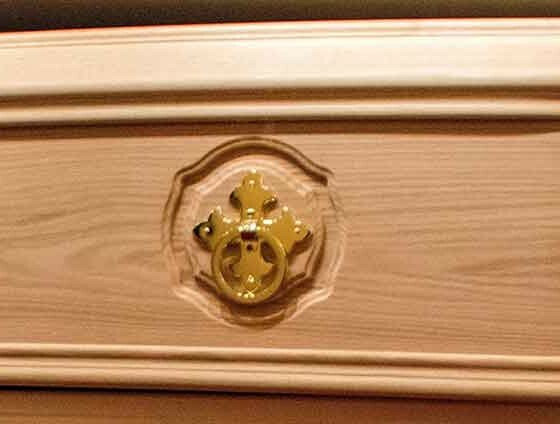 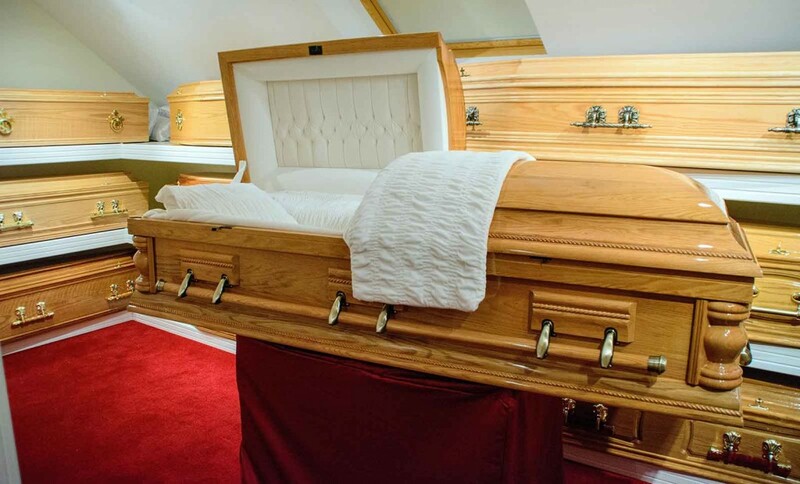 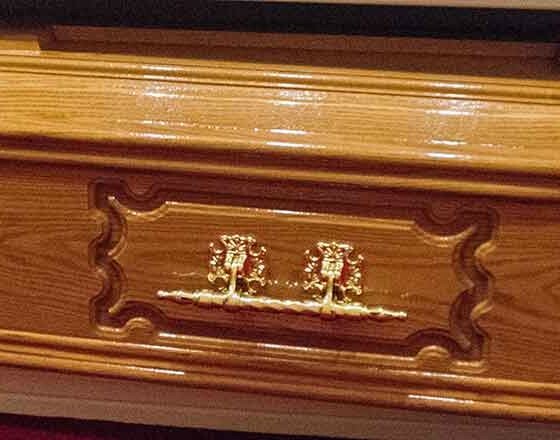 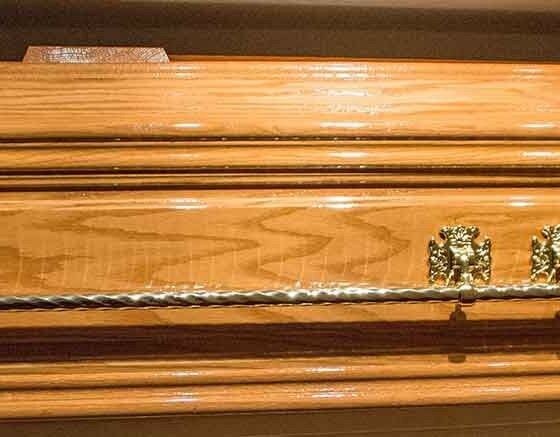 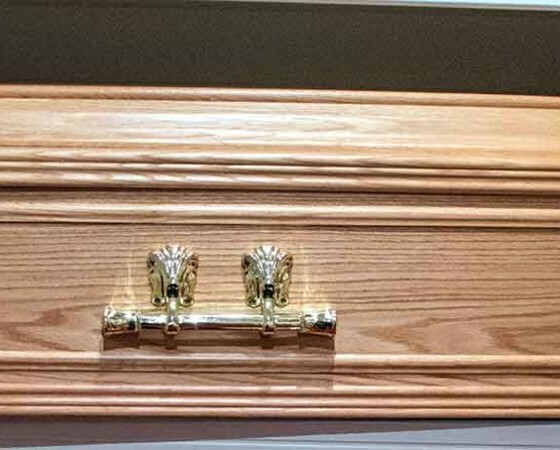 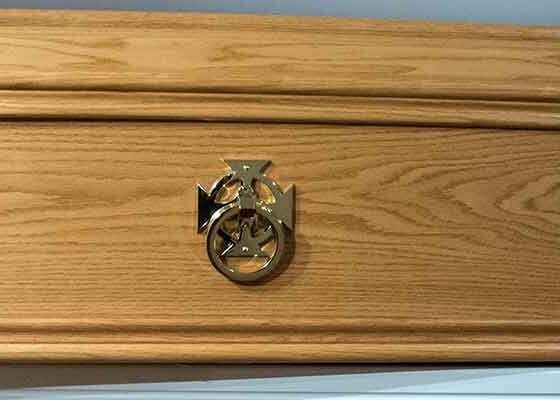 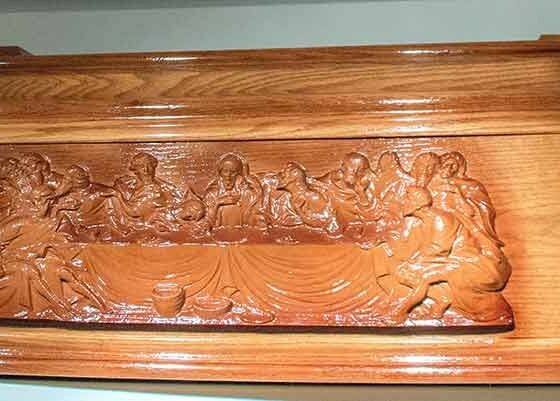 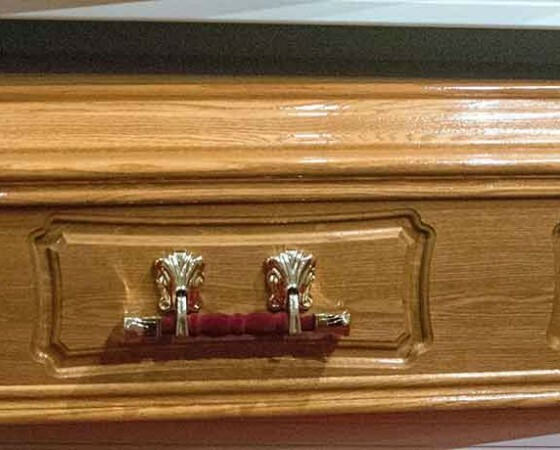 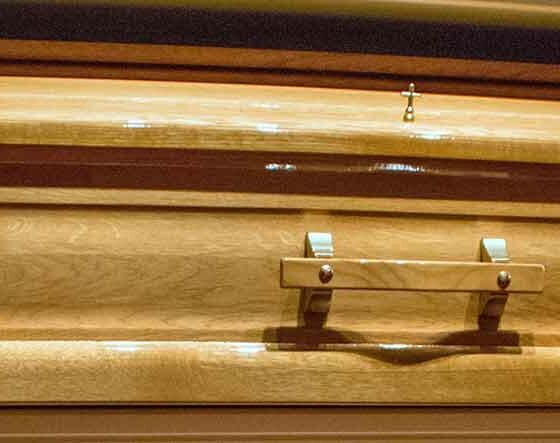 Traditionally coffins are typically made of Solid Timber, Veneer or a combination of both.